errors due to questionable quality of field data. The first two types are widely recognized, while the third type is often overlooked. Data of questionable quality may be due to inappropiate procedures, recording errors, equipment defects, and/or nonstationary of the data. Thus, mathematical models must not necessarily seek, in all cases, to match the field data. 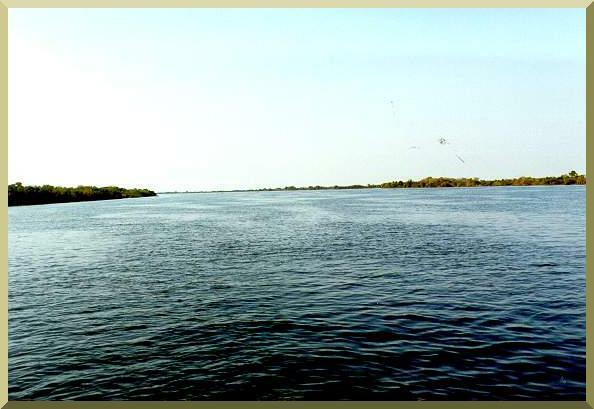 In 1995, I completed a study entitled "Hydrologic and environmental impact of the Parana-Paraguay waterway on the Pantanal of Mato Grosso, Brazil." Earlier, I had traveled to Rio de Janeiro, Brazil, and met with my friend Newton Carvalho, who had spent several years doing field measurements in the Upper Paraguay river. Together we visited the appropriate agency in search of the field data to use in the study. There was plenty of gage data, which we collected dutifully. In addition, we found a limited amount of hitherto unpublished sediment data, consisting of monthly sediment concentration at two gaging stations, Cáceres and Porto Esperança, for a five-year period (1977-82). Newton himself had participated in the sediment measurements. I thought it important to publish the sediment data, not only to complement the hydrologic impact study, but also for purely historical reasons. The study report was published in August 1995.1 Several months later, I got a call from Steve Hamilton, from Michigan State University. He mentioned to me that in his experience, there was something wrong with the published sediment measurements. Some of the concentration values appeared to be too high. A bit puzzled, I called Newton, looking for clarification. I asked him: "Newton, can you think of anything wrong with the 1977-82 sediment data for the Upper Paraguay?" He paused for a moment and said: "As a matter of fact, now that you mention it, we had some sample leakage during transport, which may have caused some of the concentration values to be too high." Thus, the moral of the story: "Publication of data does not imply that is it correct." 1 Ponce, V. M., 1995. Hydrologic and environmental impact of the Paraná-Paraguay waterway on the Pantanal of Mato Grosso, Brazil. San Diego State University, August.